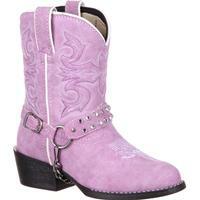 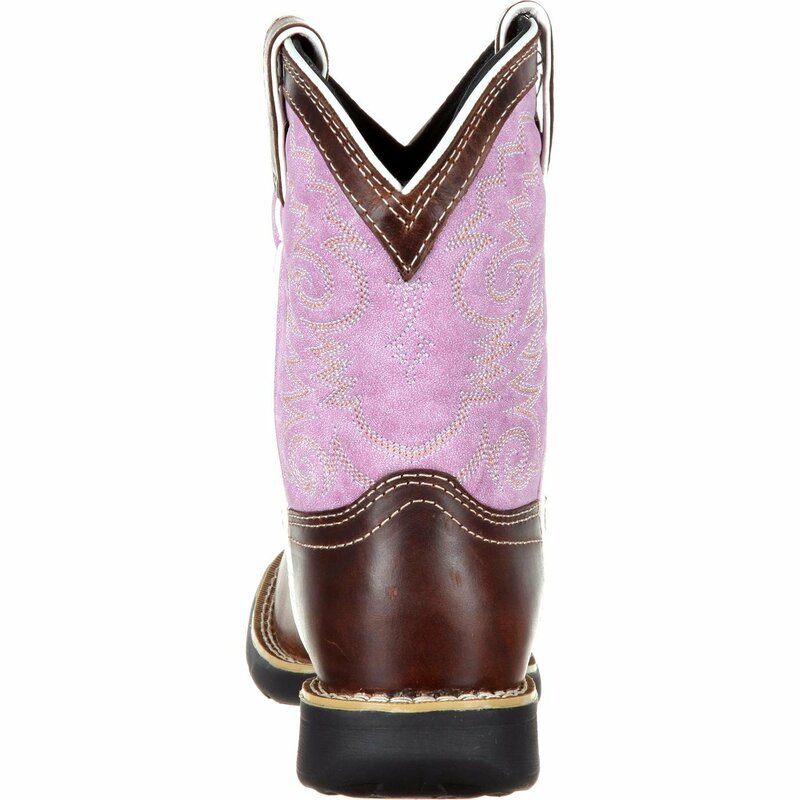 This is the 7" Dark Brown/Lavender Saddle Lil' Durango. 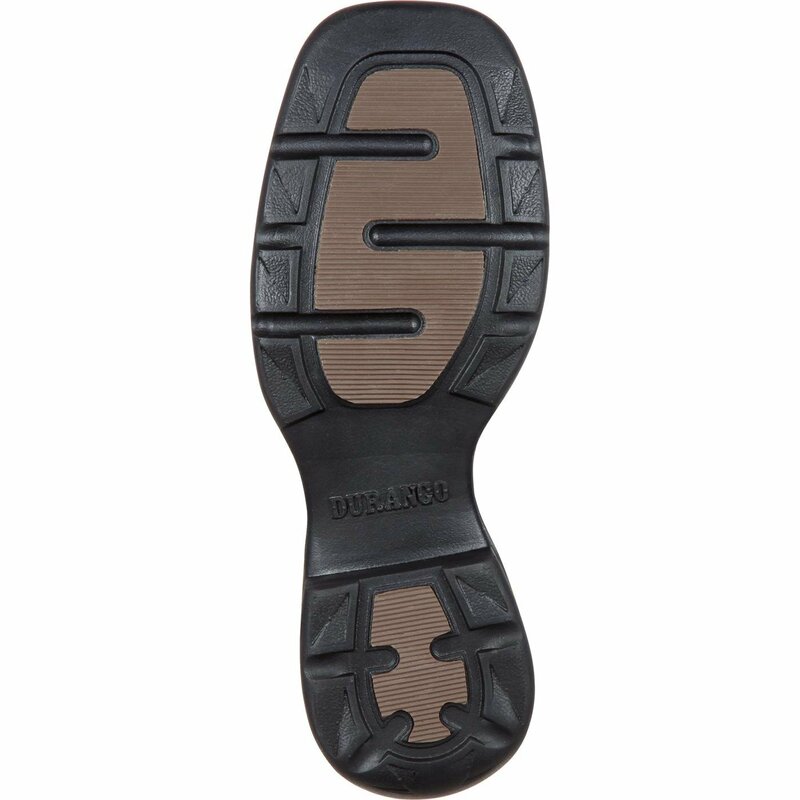 This style has a full-grain leather vamp, collar, fox and pull-straps with a man-made shaft, soft mesh lining, cushion flex insole, nylon shank, lightweight EVA outsole with rubber pods for traction, double row welt stitch around the square toe and 1" stockman heel. 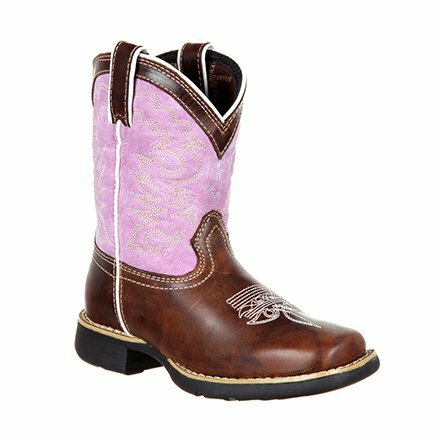 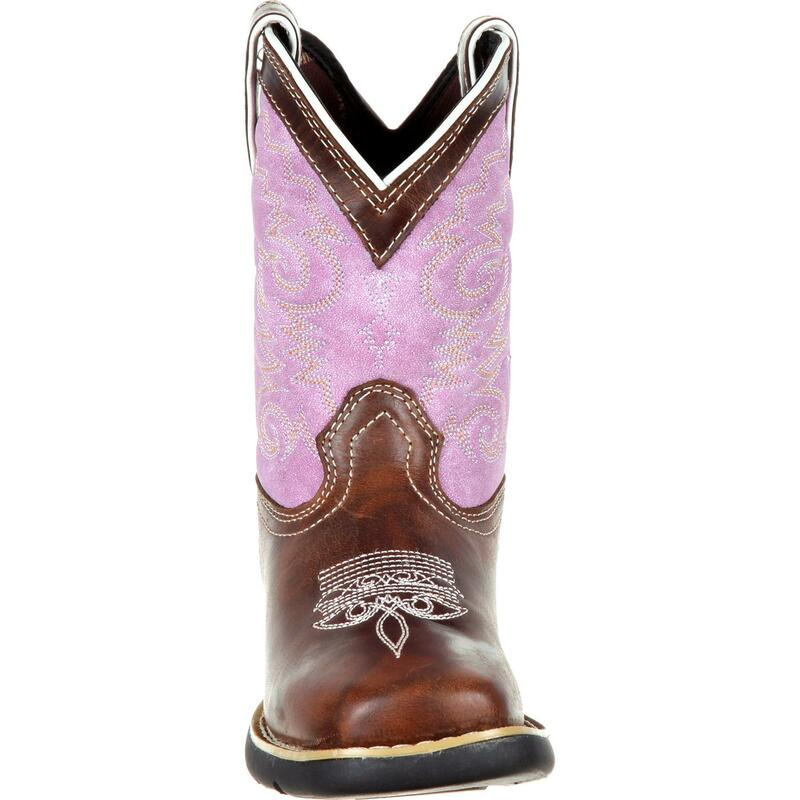 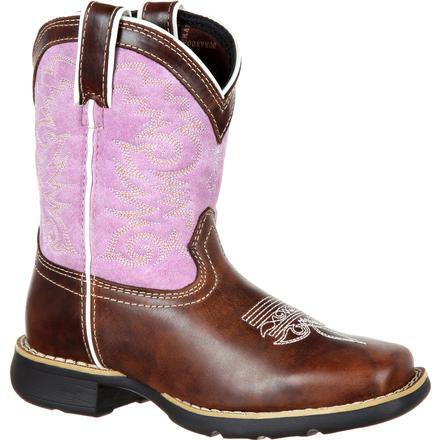 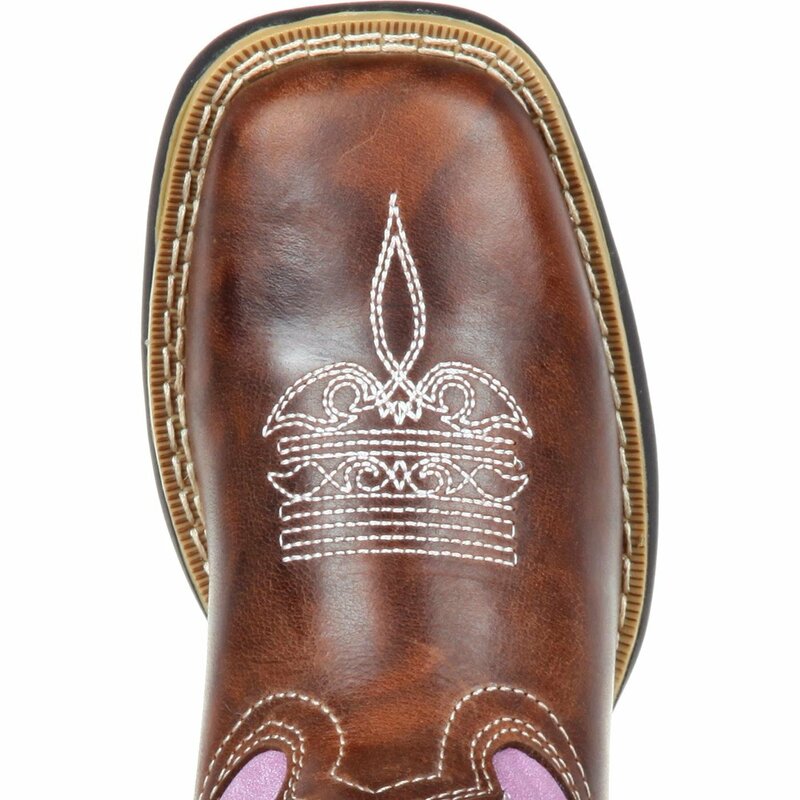 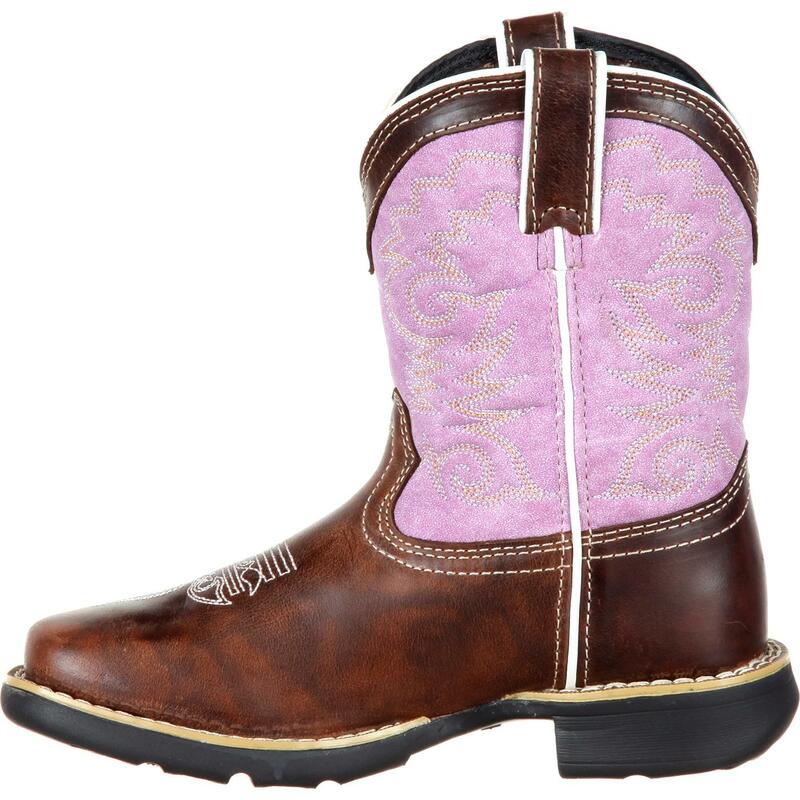 If you're looking for a stylish boot for your little cowboy or cowgirl, you can't go wrong this 7" Dark Brown/Lavender Lil' Durango. 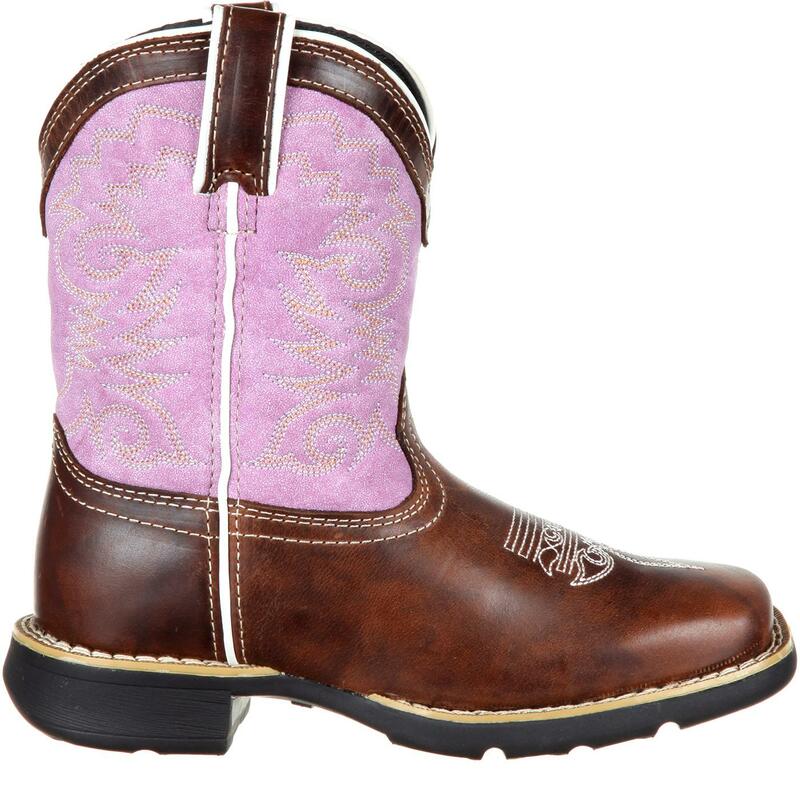 Get your lil' one a pair today!